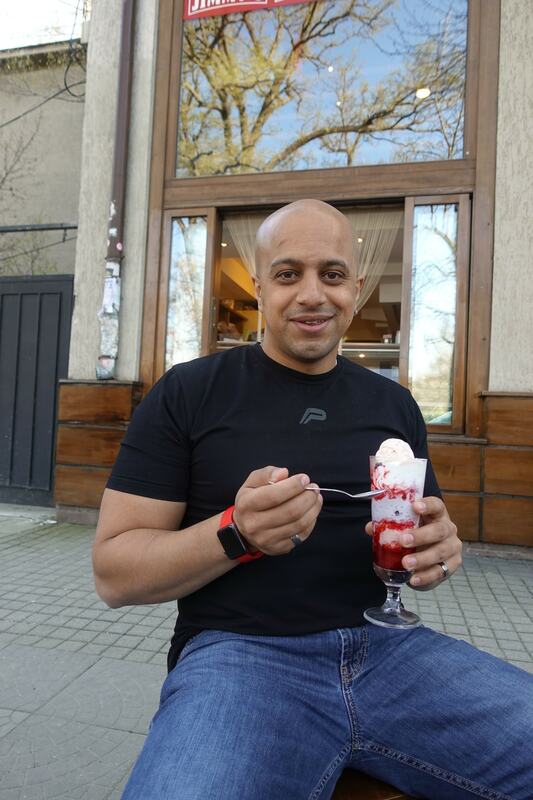 Hey – you might not be able to control the weather (especially in the UK), but you have 100% control over your ice cream intake. 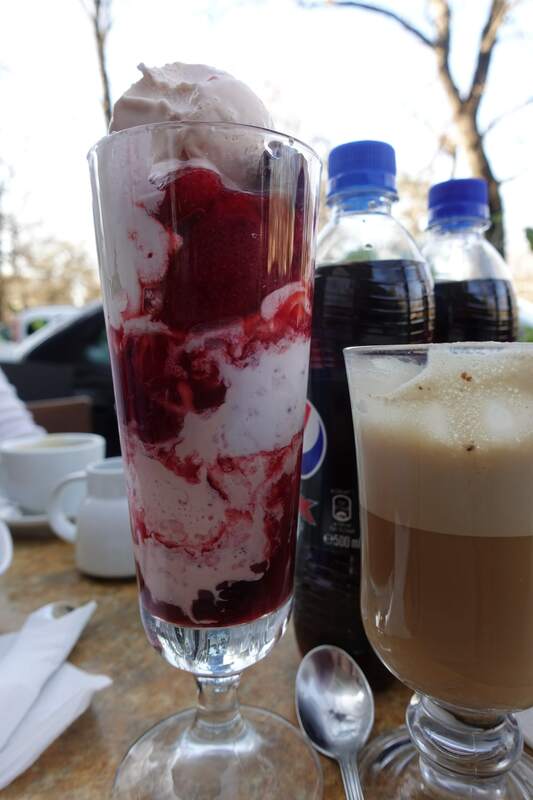 So – let’s rejoice in ice cream happiness with a sundae!!!!! Strawberry Sundae – it’s your time to shine! 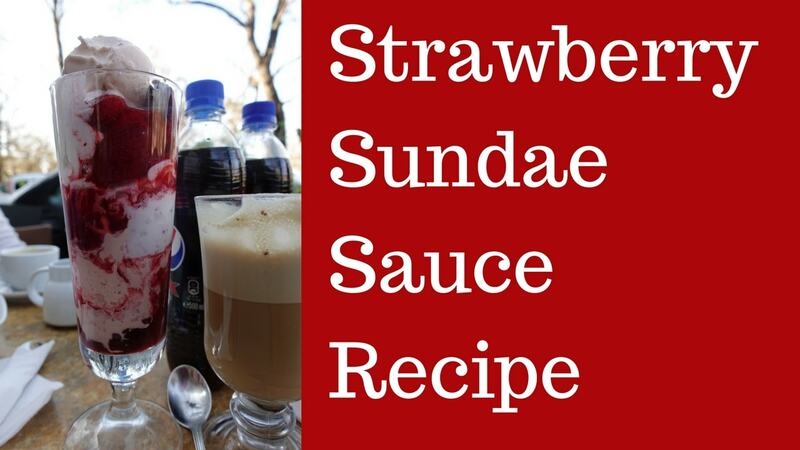 Now, making your own sundae sauce might sound bourgeois but trust me, people, it’s crazy easy. You’ll actually be embarrassed by how easy it is. And your kitchen will smell AMAZING with the aroma of fresh strawberries. Core the strawberries and cut them up into pieces – I cut mine into 8ths. Add the strawberries, sugar, lemon zest & vanilla into a medium-sized saucepan with a heavy bottom. Turn the heat to medium to medium-high and allow the mixture to boil for 5-10 minutes while stirring occasionally. When the mixture is done the strawberries should be soft and a syrupy-sauce should have formed. Allow the mixture to cool. If you’d like the sauce to be smooth with no strawberry pieces, then blend in a blender or food processor in short bursts until smooth. Core the strawberries and cut them up into pieces - I cut mine into 8ths. Allow the mixture to cool. If you'd like the sauce to be smooth with no strawberry pieces, then blend in a blender or food processor in short bursts until smooth.